Memorial to those who died as a result of the Eureka Stockade located in the Eureka Stockade Memorial Gardens. Photography: Clare Gervasoni 2013. 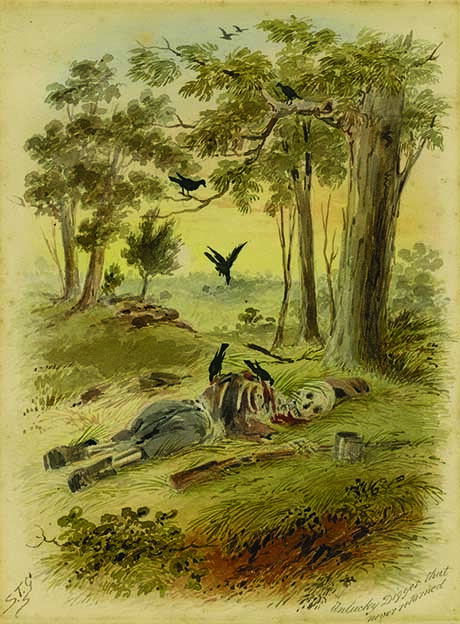 Samuel Thomas Gill, Unlucky digger that never returned,watercolour and gum arabic on paper. The number of people killed as the result of the Eureka Stockade is not known exactly. There is the possibility that some wounded diggers escaped to the bush and died alone. Other contemporary statements mention the death of a woman. The following are known Eureka deaths. The Miner and Star newspaper also reported that bodies were exhumed and re-interred. 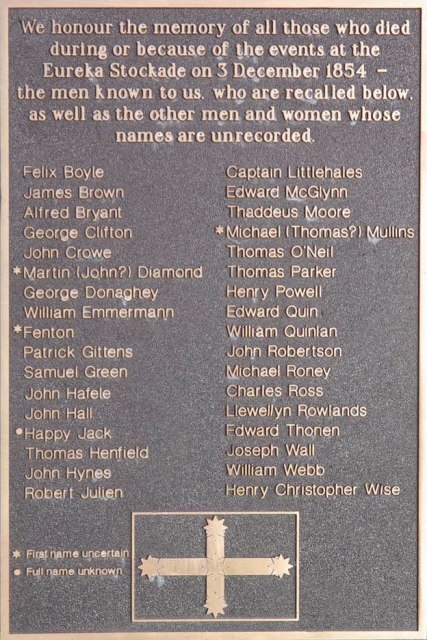 The following is a list of known deaths at the result of the [Eureka Stockade] battle. ↑ Dorothy Wickham, Deaths at Eureka, 1996. This page was last edited on 16 April 2018, at 11:56.